RIDGID Model 3801 Open Wing Bender 0.375 - 1.25 inch. For better overview of the bending process and superior accessibility. 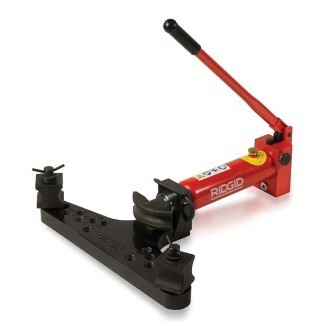 RIDGID Model HBO382 Open Wing Bender 0.375 - 2 inch. For better overview of the bending process and superior accessibility. 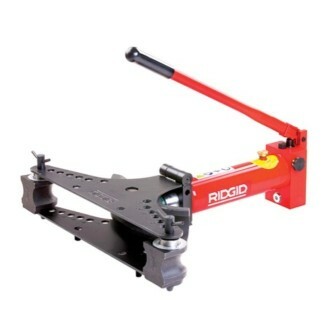 RIDGID Model 3801E Open Wing Bender 0.375 - 1.25 inch. For better overview of the bending process and superior accessibility. RIDGID Model 3801E Open Wing Bender 0.375 - 1¼ inch. For better overview of the bending process and superior accessibility. 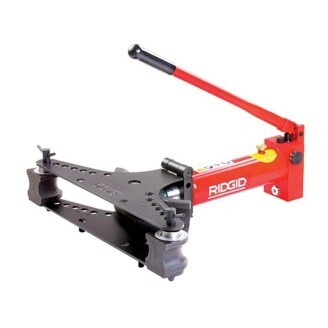 RIDGID Model 3802E Open Wing Bender 0.375 - 2 inch. For better overview of the bending process and superior accessibility. RIDGID Model HB382 Tip-Up Wing Bender 0.375 - 1.25 inchOffers the added advantage of extra rigidity during the bending process.Ideal for on-site applications. RIDGID Model HB382 Tip-Up Wing Bender 0.375 - 2 inchOffers the added advantage of extra rigidity during the bending process.Ideal for on-site applications. 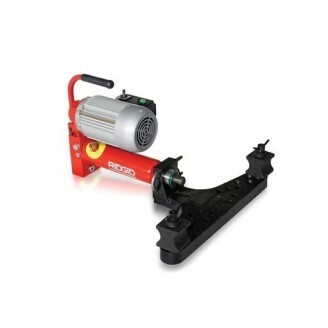 RIDGID Model HB383 Tip-Up Wing Bender 0.375 - 3 inchOffers the added advantage of extra rigidity during the bending process.Ideal for on-site applications. 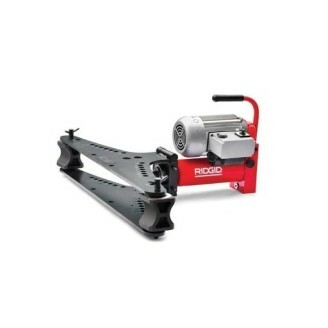 RIDGID Electric & Manual benders are ideal for precision cold bending standard gas pipes up to 3". Versatile, portable benders are ideal for on-site bending, as well as machine construction, boiler making and industrial application. 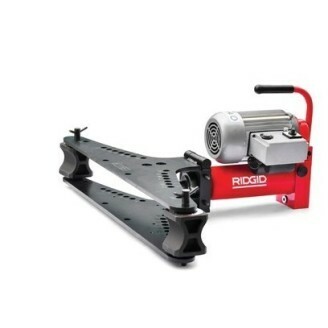 RIDGID Model 3812E Electro-Hydraulic Tip-Up Wing Bender 115v 3/8-2"Offers the added advantage of extra rigidity during the bending process. Ideal for on-site applications.